The AIRnet™ compressed air piping system complements compressed air projects by delivering high-quality air, at the right pressure and at the lowest possible cost. AIRnet™ consists of high-quality elements and distinguishes itself through flexibility and ease of installation. A smooth inner aluminium surface provides more air flow with less pressure drop. Corrosion-free pipes and fittings minimise the risk of leakage and maintain the pressure drop constant over time, reducing energy waste. 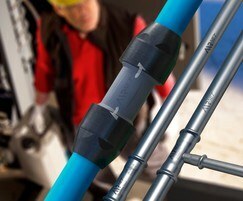 An integrated O-ring ensures an airtight fit. A pressure drop reduction of 1 bar results in 7% energy savings of total compressor installed power. AIRnet™ can be installed easily and quickly by a single person, without requiring any training. An AIRnet™ system can be built in one-third the time of a conventional one, no specialised tools needed. Network maintenance is equally fast. 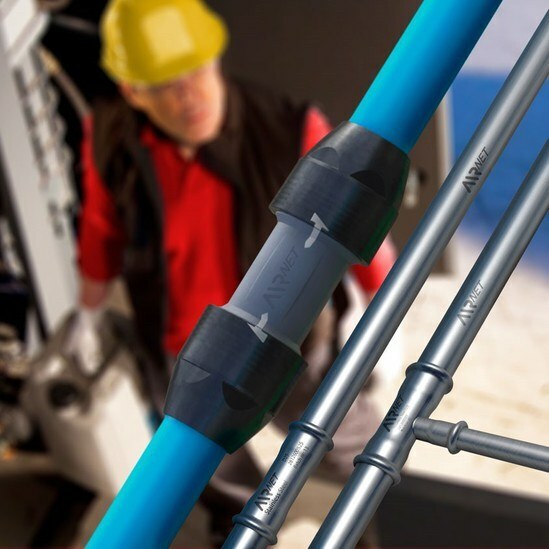 All components are easily adjustable and reusable, and AIRnet™ is compatible with any existing pipe work and equipment.